HELLO, TOKYO! – Living. Loving. Life. 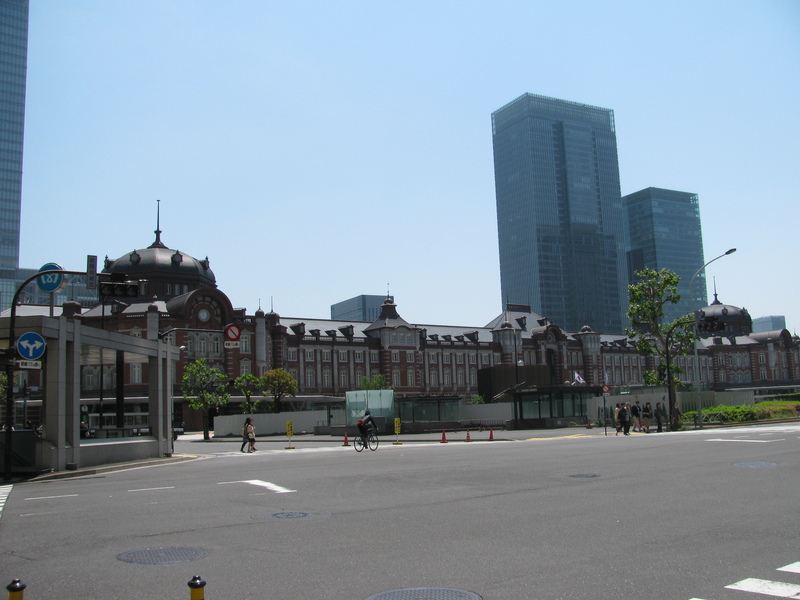 Tokyo Station, what a sight to behold. 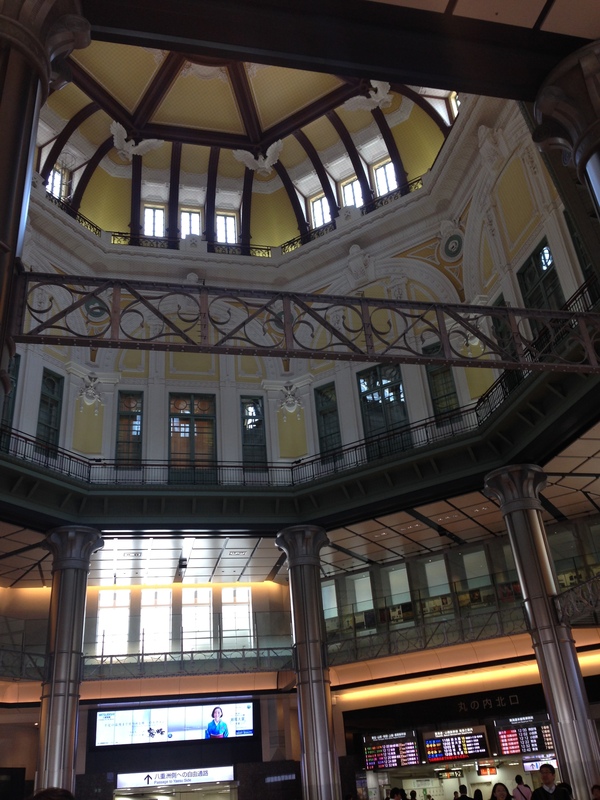 Tokyo Station from the inside. 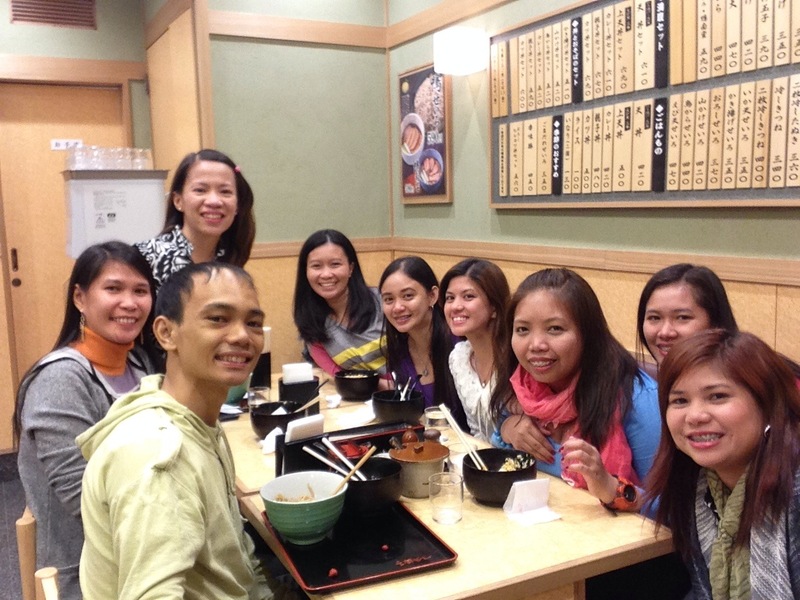 We ate our dinner at a small eatery nearby. In here we got to order and pay our food through a vending machine. You would see the menu in the front of the machine with the price of the food. You choose your food and insert the money corresponding to that food in the machine. A stub would come out and you give it to the kitchen so they could cook your order. We went to a table and waited for our orders. 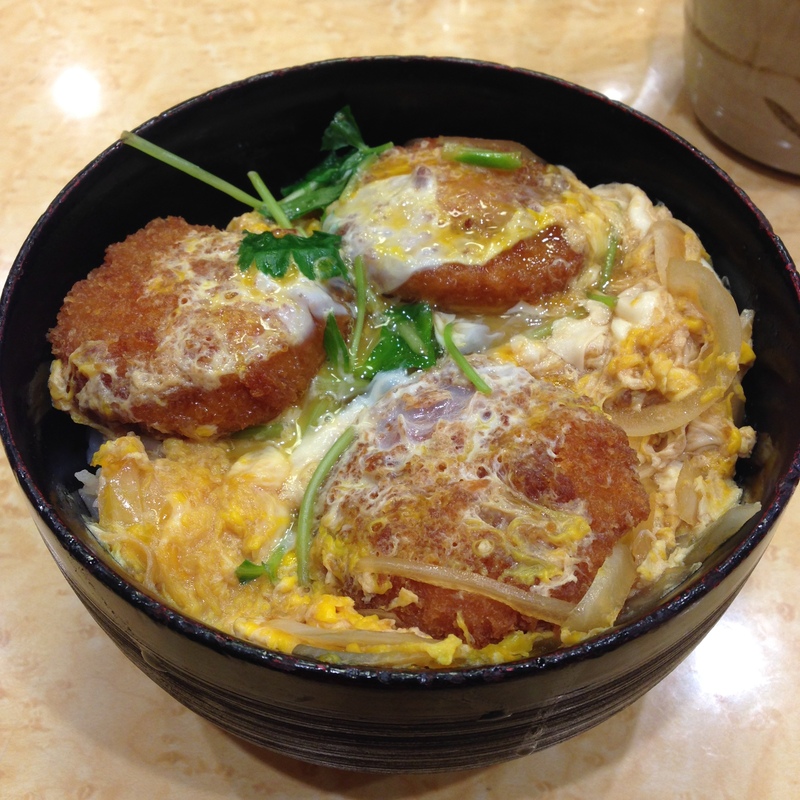 I ordered a Katsudon (rice and pork on top). The serving was huge. The pork was so juicy and tasty. I never thought it would be this good. 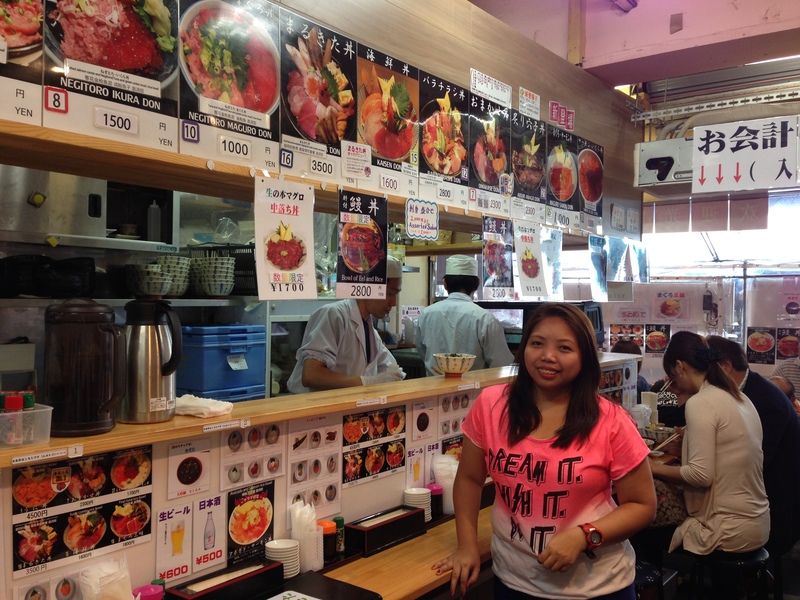 The following day we ate our breakfast at the famous Tsukiji Fish Market where we found a small restaurant that served fresh seafood. I am a sashimi monster, and I know my salmon sashimi. 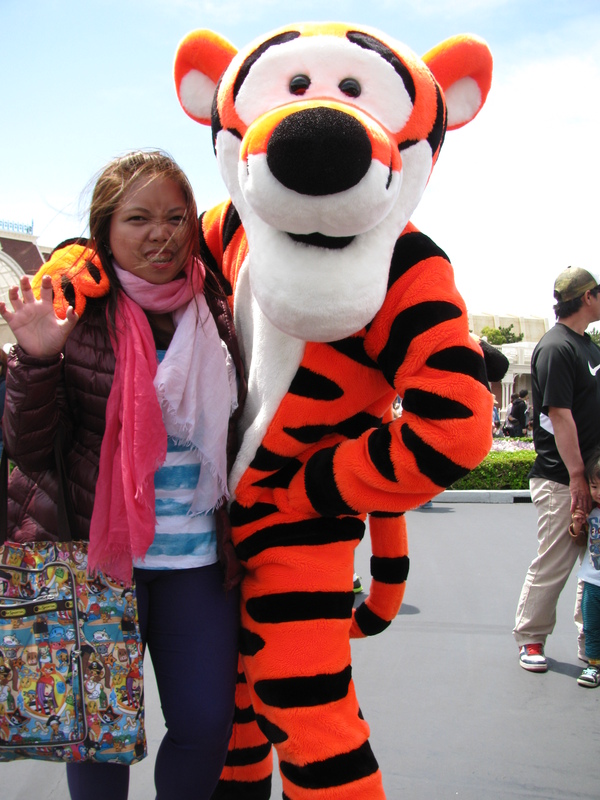 I’ve watched a lot of travel documentaries featuring Tokyo and this was one moment I’ve always wished for. You would never believe how delicious that salmon is unless you taste it for yourself. It was so fresh that you don’t need to squeeze lemon over it to get rid of the ‘lansa’. I forgot where I was for a moment there when I ate that salmon sashimi. Thank you to the Japanese for that. 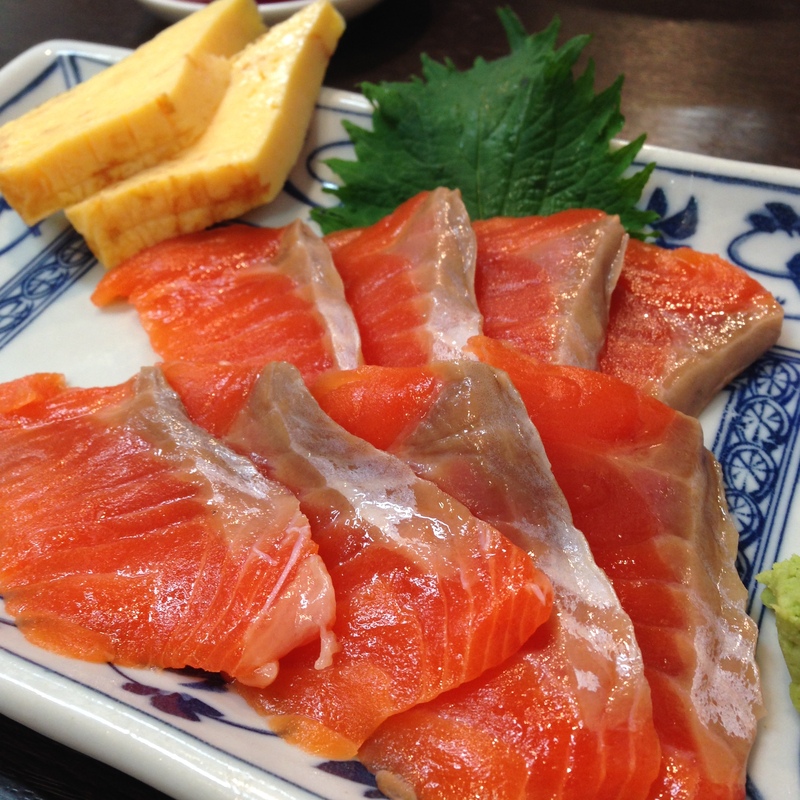 The most amazing salmon sashimi. After the Tsukiji Fish Market we headed to the Meiji Shrine at Harajuku. 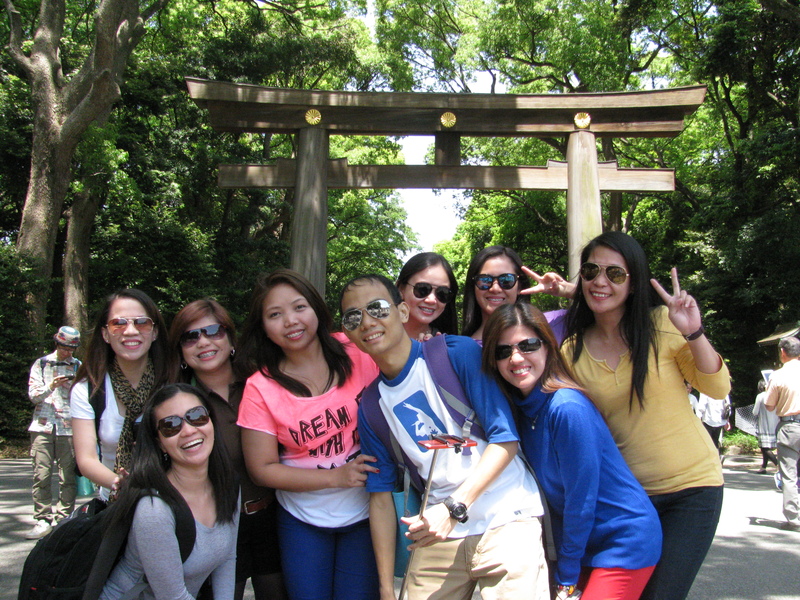 In front of the Meiji Shrine Entrance. 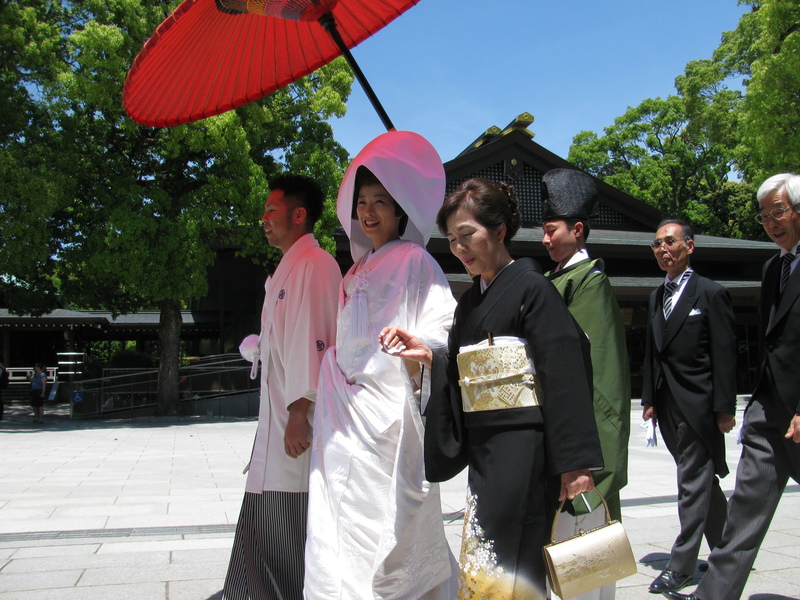 As it was a Sunday when we went to the Meiji Shrine, we witnessed actual wedding ceremonies which were absolutely magnificent. A glimpse of old Japan. 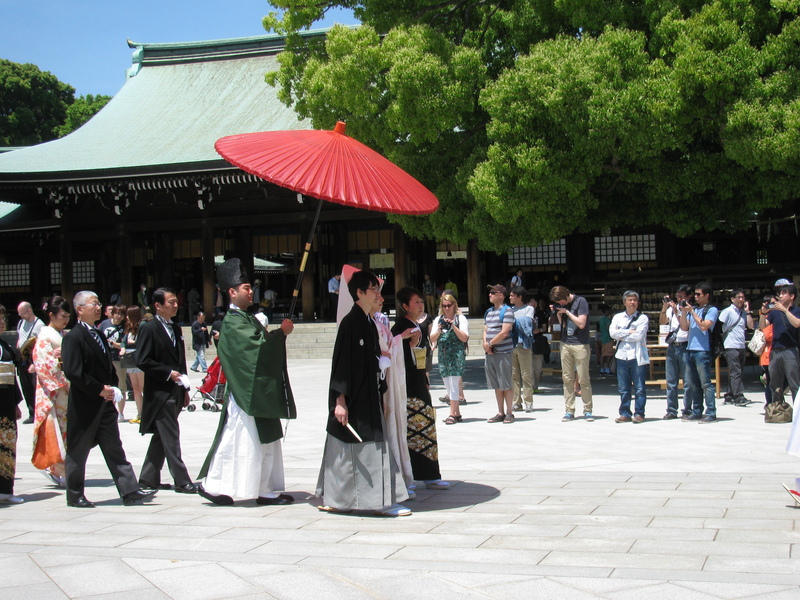 Couples walk through the shrine before their wedding vows. We headed off to Akihabara, the electronics capital of Japan. 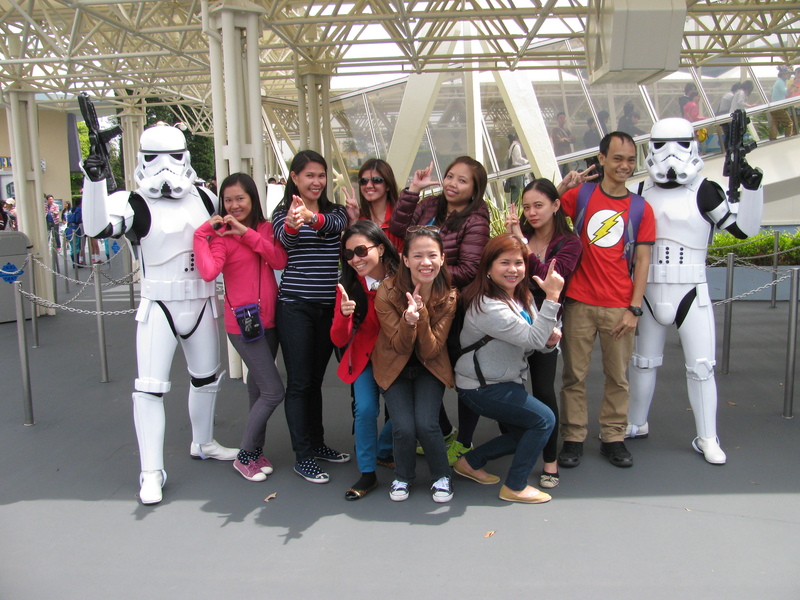 We walked around Akihabara and took pictures with the pretty girls in costume. 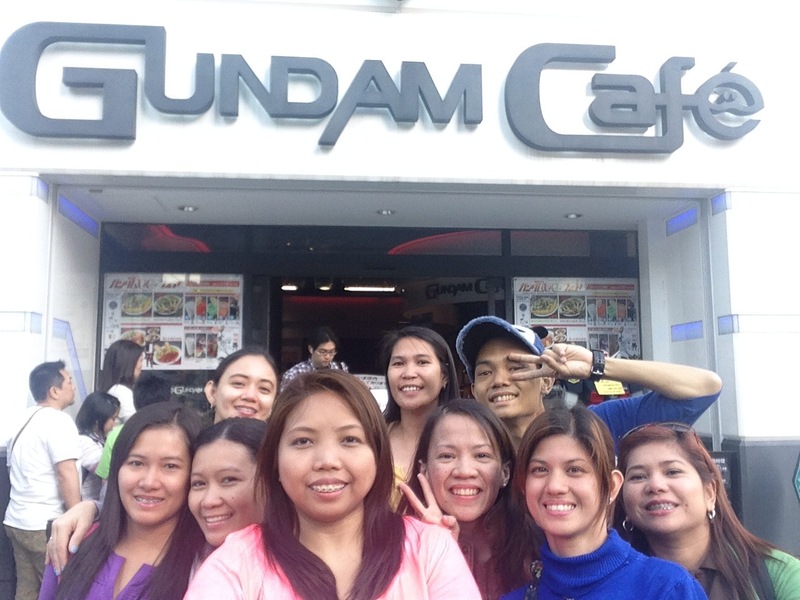 After going to the Gundam Café, we headed straight to Shibuya to finally see Hachiko. 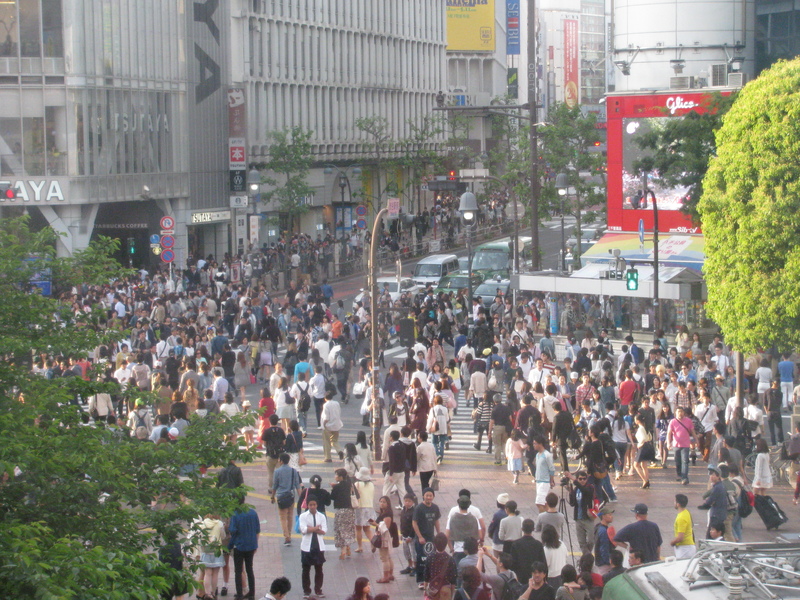 The busiest crossing in all of Japan. Once we got out of the train, we saw the busiest crossing in all of Japan (if not the world) where hundreds of people walk across, the Shibuya crossing. Just beside the entrance of the station is the shrine of the most famous dog in the world, Hachiko. We took pictures with Hachiko then we proceeded to the busy crossing up ahead. There was a Starbucks store where we decided to rest our super tired feet. The bright lights of Shibuya. 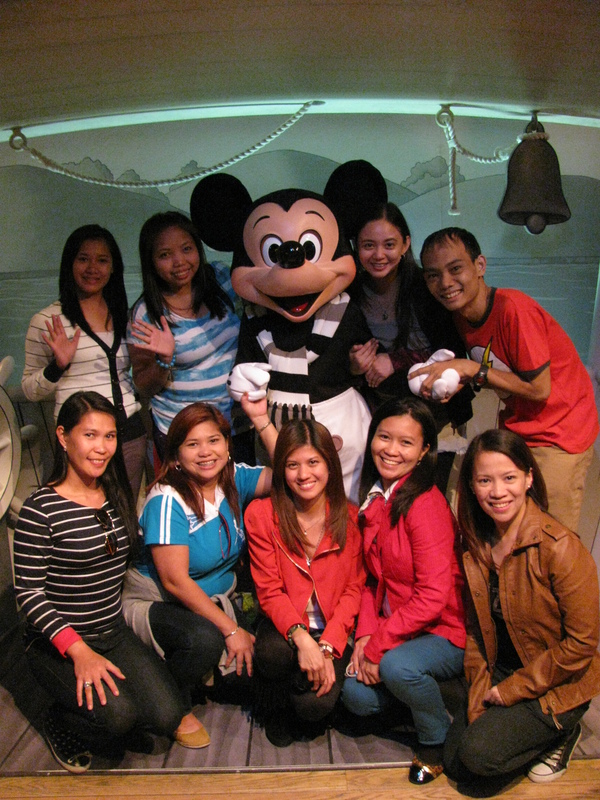 The trip would not be complete without meeting Mickey. 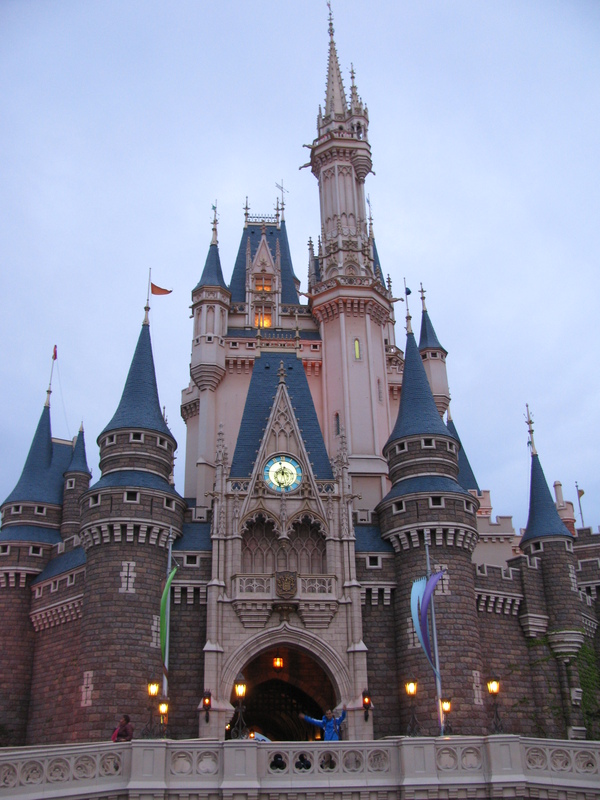 Click the link below for KYOTO. 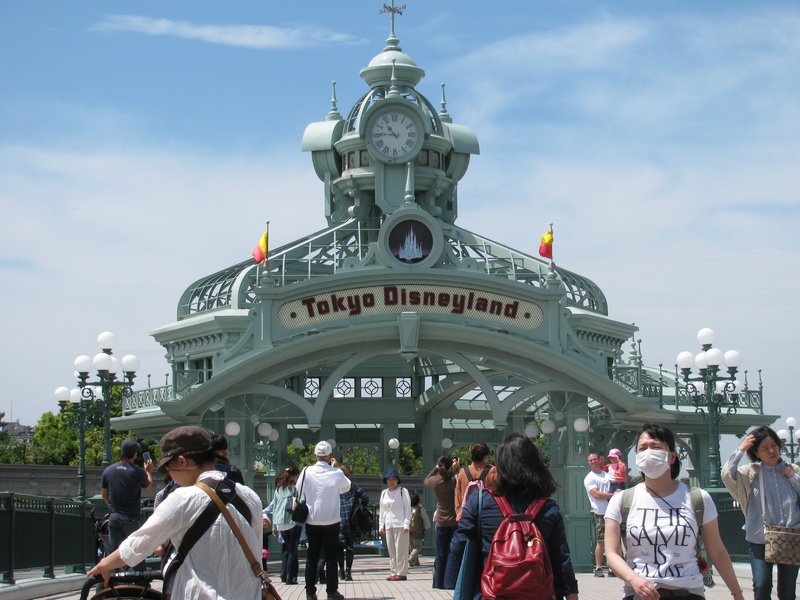 Pingback: The Dream Vacation: Our Japan Misadventures. | Living. Loving. Life.